Hola amigos, I now have a Patreon site, as well as a Gumroad! Also, in addition to the Society6 and Redbubble accounts I opened before, I have a bona fide real store where I am selling original art and books now. You can pledge to my Patreon on a monthly cycle; the pledge amounts start from $1 and can be any amount you wish. 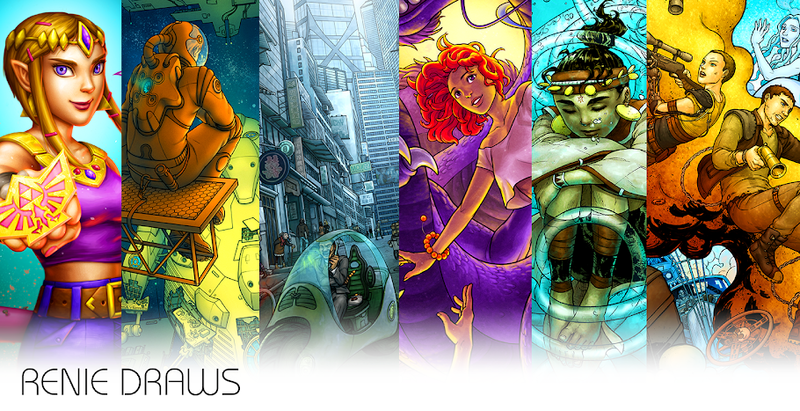 Depending on your pledge level, you can get anything from behind-the-scenes sketches and early looks at the comics that I release, to layered PSDs of my illustrations. My plan this year, and hopefully beyond (if the ideas keep on coming), is to make lots of short comics and books. If you could support me in making these stories, whether through Patreon or by buying the completed comics, it would mean the world to me. I want to make the best comics I possibly can, and I'm really excited for all of these projects!! Unfortunately this means that my webcomic Shaman Child might be put on hold for a while, but I believe this is the right way to go. I haven't quite been in the headspace for Shaman, and I recently suddenly came up with a load of short comic ideas; plus, it's always good to have finished, complete books under your belt, so I think these smaller projects are the way to go. 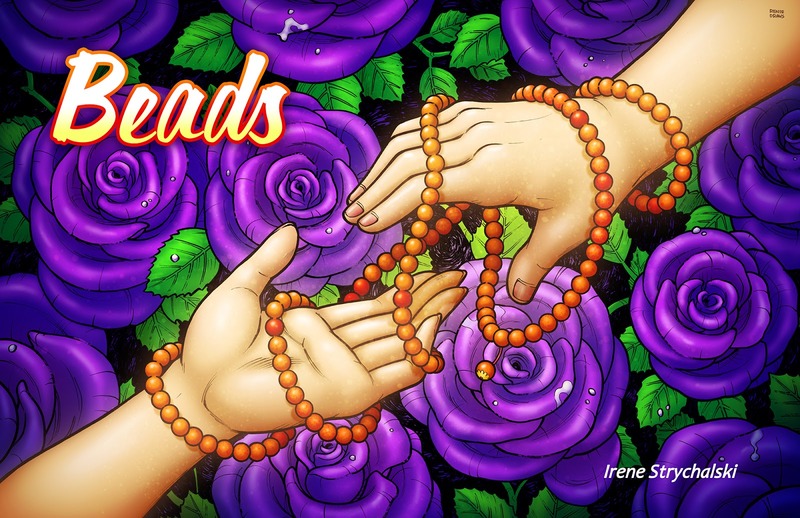 I am already currently releasing the first of these, a comic called "BEADS". You can keep up with the story here. The story is divided into 5 sections, so on every Monday for the next 5 weeks I will be releasing one part of it. The physical book and the PDF download are already available for preorder on my Store and Gumroad, respectively; the content will ship when I am done releasing all the sections, in March.